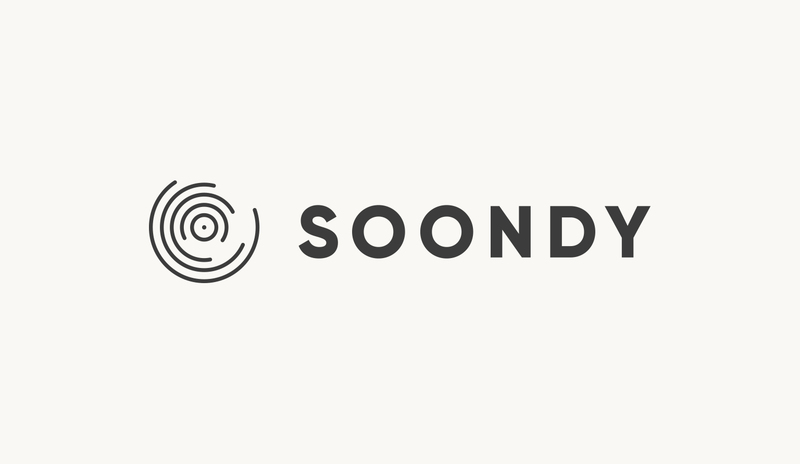 We were asked to create the visual identity of the Soondy platform. 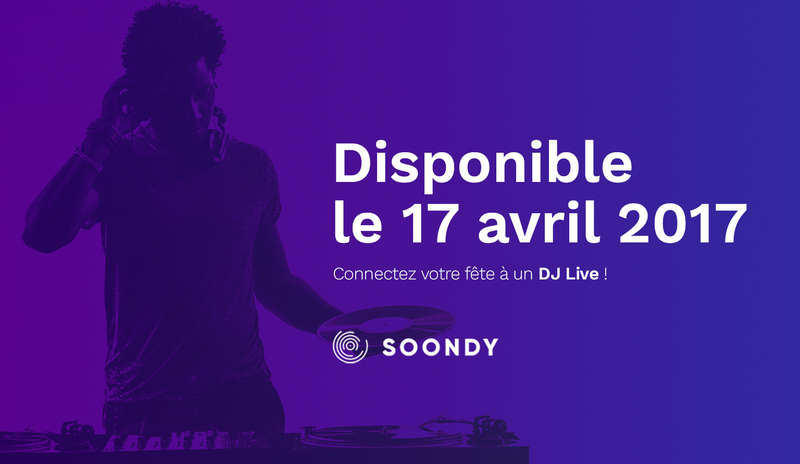 This French start-up offers a personalized and remote live DJ service to animate birthdays, cakes, private parties, etc. 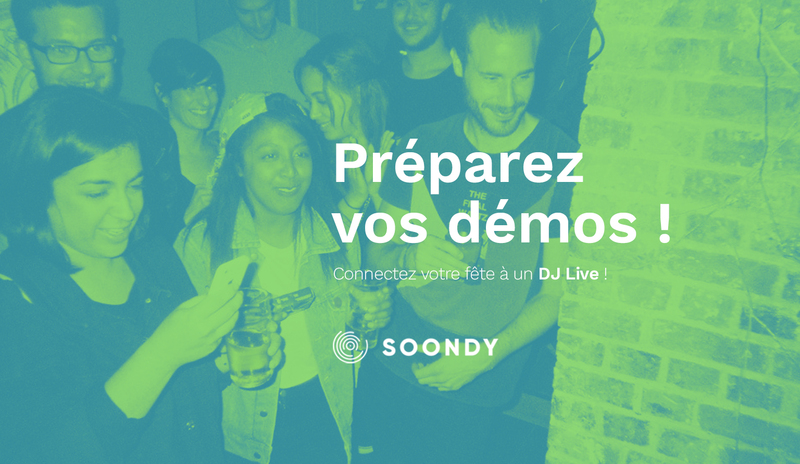 Soondy was able to raise funds thanks to the Paris Pionnières female incubator. For the realization of the logo we chose to inspire us with the furrows of a vinyl record in movement. 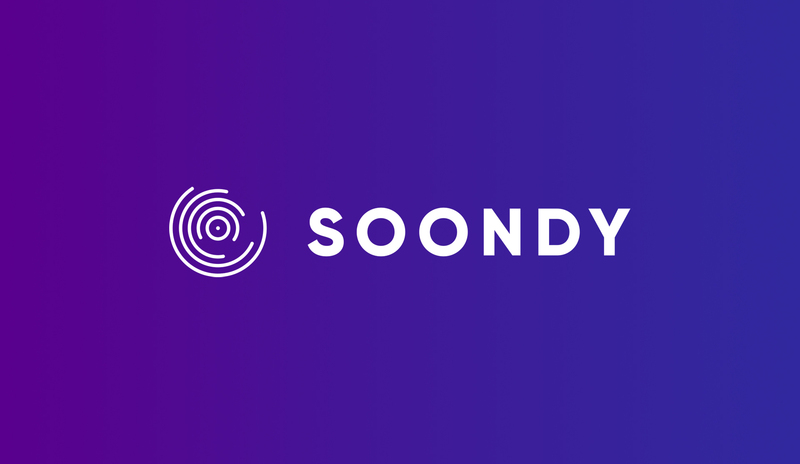 By using abstraction and a destructured organization in space, we wanted to symbolize the dematerialization of music and the proposed service. 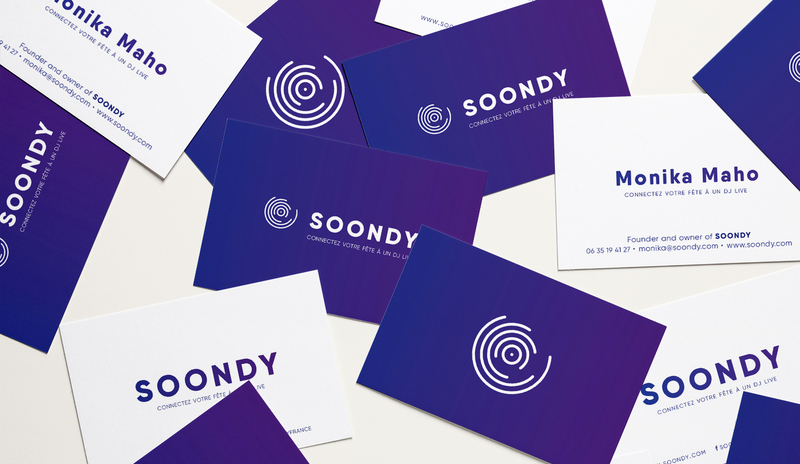 Besides the logo, the strong marker of the identity set up is this gradient from blue to purple that brings a particular freshness pop. 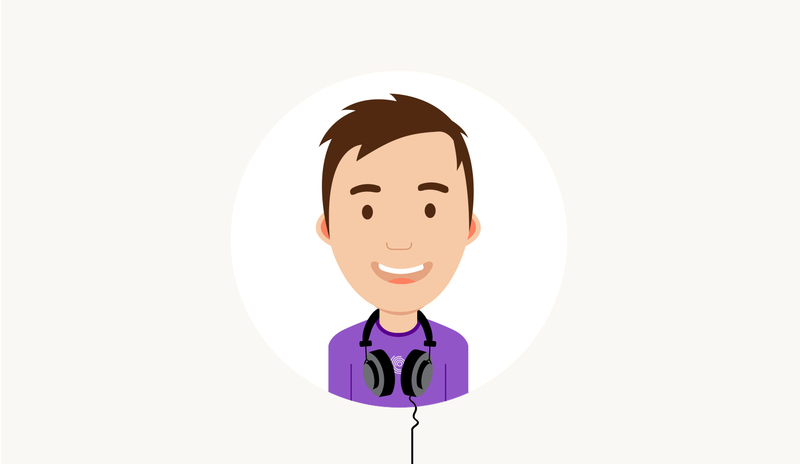 We then extended the graphic universe on various media (business card, avatar, digital communication elements, pictogram library ...). So many elements to install the brand, its graphic tone and streamlining the concept.